Islam Around Us: Latest Egypt clashes kill 5 civilians, say Ministry. Latest Egypt clashes kill 5 civilians, say Ministry. Cairo | AFP | 31 Aug 2013 :: Five civilians died in clashes in Egypt on Friday when opponents and supporters of ousted President Mohammad Mursi clashed in several cities, the health ministry said on Saturday. Three were killed in clashes in the Giza district in Cairo, one in the canal city of Port Said and one in the Nile Delta province of Sharqiya, the ministry said in a statement. 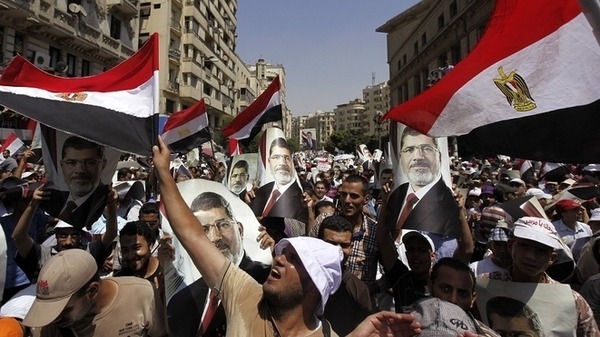 Thousands of Mursi’s supporters had marched across the country on Friday denouncing the July 3 coup that overthrew the Islamist president.